On Monday we (finally) took delivery of the mattress for baby #2’s crib. 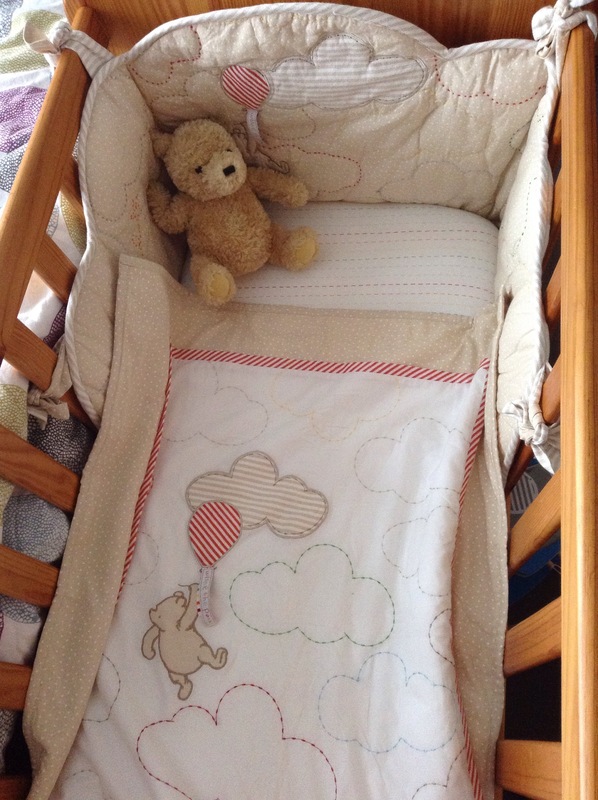 The crib has been a general dumping ground since the summer (I snapped up a bargain so we’ve had it in our bedroom for a long time). So, keen to see how it looked with the bedding and mattress in, I dressed the baby’s crib! I think it looks very cute and cosy, and seemingly, so does James! He tries to climb in all the time.